A couple of years ago, Hertz and Le Club AccorHotels launched a partnership. It has been pretty quiet since then but it seems that the key benefits – a Hertz status match and a chunk of free Hertz points – are still available. Hertz is offering a status match to all Le Club AccorHotels members. A lot of Head for Points readers will still have Gold status with Accor due to their (now terminated) partnership with American Express Platinum, so you can benefit from this. For the rest of you, this is still worth doing. Everyone who signs up for Hertz Gold Plus Rewards via the links below will get 900 free Hertz points. This is good for a one-day car rental or you can transfer them into 1,000 IHG Rewards Club points, 1,000 Marriott Rewards points or 500 miles with a variety of airlines including American, Delta and United. What benefits do I get from the Hertz / Accor partnership? Note that this offer is not available in all countries, but the UK is fine. If you are not UK based check the small print first. Is Accor a good place to credit Hertz rentals? An Accor point gets you 2 Eurocents of Accor hotel discount voucher, as long as you exchange in chunks of 2,000 points. 3 Accor points per €1 is equivalent to getting 6% of your rental cost back in Accor vouchers. Alternatively, if you set up your Accor account to transfer your points into Iberia Plus, you will earn 3 Avios points per €1 spent. Do NOT transfer Accor points into British Airways Executive Club as the rate is only half as good. That said, our preferred Hertz partner is still Virgin Flying Club. As you can see on the Virgin site here, the majority of Hertz rentals will earn you a flat 1,000 Flying Club miles. 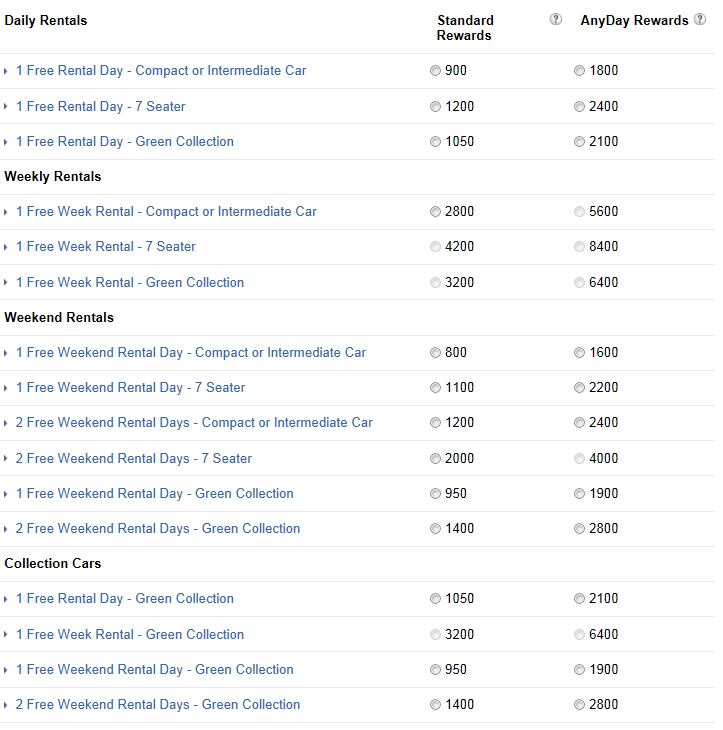 How do I register for my Hertz Gold Plus Rewards status match? ANYONE can get Classic status simply by signing up for Le Club AccorHotels via this link. You can then sign up for Hertz Gold Plus Rewards via the link above and claim your 900 free Hertz points. At no point during the sign up process does it ask for your Accor number. I can only assume that either Accor will be asked to validate your email or postal address or the cookie carries through from the landing page and Hertz does not do additional checks. What happens if I am already a Hertz Gold Plus Rewards member? You can get your status upgraded by adding the relevant Hertz CDP code for your Accor status tier (shown via the links above) to your Hertz Gold Plus Rewards account. You will not receive the 900 Hertz points as you are not a new member. What can I get for 900 Hertz Gold Plus Rewards points? Most people who rent a car from Hertz choose to take airline miles instead of Gold Plus Rewards points. Some of the deals, such as 1,000 Flying Club miles per rental from Virgin Atlantic, are very generous. If you opt to earn Hertz Gold Plus Rewards points, you will earn 1 point per pound/dollar/euro spent excluding multipliers. These can be redeemed for free days on a sliding scale of expense, although the redemption amounts differ by country. As you can see, the 900 points you get for signing up via the Accor link would get you a one-day UK rental of a small car as long as reward availability was there. You would need to pay for insurance on top unless you have an all-inclusive policy from insurance4carhire.com or similar, or have an Amex Platinum card which includes free car hire insurance. Points expire after no account activity within a two year period. However, you can transfer them for free to your spouse or ‘domestic partner’ by calling. 600 Hertz points (because you can only redeem in 600 points blocks even though you are getting 900 Hertz points) = 500 airline miles, 1,200 Southwest Points or 1,000 IHG Rewards Club or Marriott points. How do you redeem your Hertz points for miles? If you have Accor status, this is a good opportunity to get yourself some Hertz status for free. If you have no or only low level of Accor status, including the basic status you get for signing up, the attraction here is 900 free Hertz Gold Plus Rewards points. Those will get you a chunk of hotel points or a free days rental of a small car. The full terms and conditions for the Accor / Hertz partnership can be found here on the Accor site. Earn TRIPLE Avios with Accor - at least 7.5 per €1 spent! I tried to get my Accor Platinum (back when it was an Amex benefit) status matched to Hertz twice a couple of years back but they were unresponsive. Gave up in the end. I usually find it cheaper to book cars through a comparison site anyway, or with a BA+Avis flight booking. I would have loved to taken advantage of this offer but the form on the hertz page isn’t secure (no padlock for me) and I just don’t want to put my name, address, date of birth and driving license number into a form that isn’t secure. Agreed, I’m afraid. Somewhat annoyingly, it even asked for my license (sic) number, after confirming I am not American. Do I have to choose which partner to use during the sign up process? I didn’t, and I have the 900 hertz points but can’t find a way to transfer to ihg or Marriott. Brilliant, thanks Rob. Just got 900 points for Mrs JE on Hertz. Annoying sign up forms but got there in the end (and it was HTTPS for me) I’ve already got Gold 5 star membership through IHG Spire Elite link that you’d highlighted a while back. Is there any way to top up the (currently 636 points) on my Avis account to get to 900, so I can free rental too, other than through hires, which takes an age? Assuming we booked now, what would be the best route to take discounts / miles wise? Points credited after I checked back today. I signed up on the day of the article. So I think they’re instant. Signed up both me and other half using one accors account number.